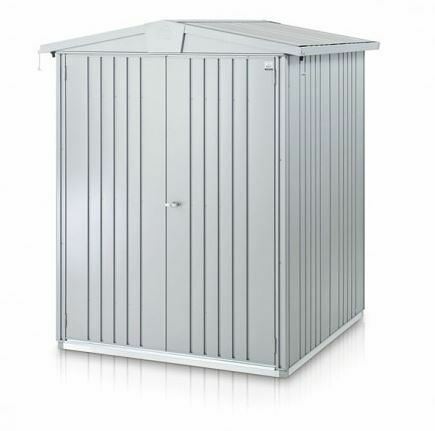 This compact metal shed, which measures 6 x 5, is made from the very latest galvanised steel. 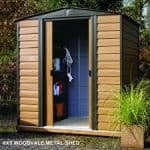 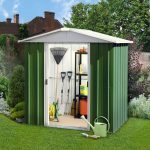 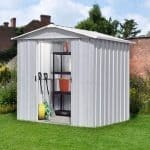 This means it is perfect for shed storage, because it doesn’t get affected when it comes to rot and rust. 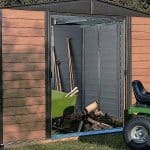 So you have peace of mind with all of your equipment and belongings that are kept in the shed. 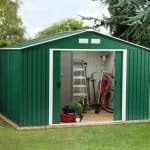 The steel is also steel plate in quality. 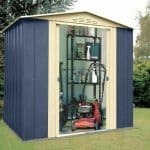 The 20-year guarantee protects you against the rust and rot, and ensures that you can look after your belongings for 20 years with peace of mind.